The Red River College Library receives plenty of inquiries about the wireless networks on all our Winnipeg campuses. Our goal is to help all our library patrons, though we always have to be clear that we do not control or manage the wireless networks here at RRC. At the Library we are users, just like you! In fact, it is the Information Technology Department that manages the wireless networks at the Notre Dame Campus and throughout the Exchange District Campus. WERE YOU ASKED TO CHANGE YOUR PASSWORD? FORGET THIS NETWORK! Every six months you will be asked to change your password. 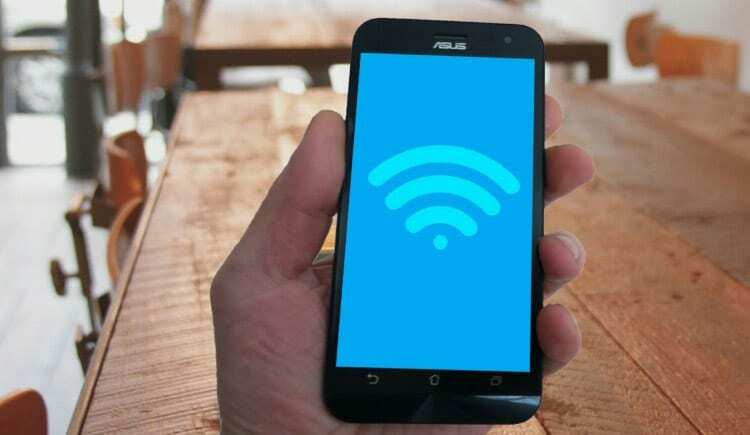 Unfortunately, your personal devices, such as cell phones or tablets, will have your old password saved in their wireless network connection settings. Q: How do you do update your wireless password? Just ask your device to “Forget this Network” and then setup a new connection to the wireless netwwork. When you ask your device to “forget this network”, always keep in mind that it was likely trying to actively connect to the wireless with a bad password. This may have caused the college’s wireless system to lock out your device. So, when you reconnect with your username and your new password it may still not connect. It is probably locked out! Wait 30 minutes after you “Forget this Network” for your locked-out device to be re-allowed to connect to RRCWireless. If you have a laptop, you may not need to “Forget this Network”. You can likely just login with your new password when your computer challenges you for credentials. However, you may still have to wait 30 minutes for your laptop to cease being locked out. Just enter your new password, and wait for the lock-out period to expire (30 minutes). UpToDate is an evidence-based, physician-authored clinical decision support resource which clinicians trust to make the right point-of-care decisions. UpToDate is the premier evidence-based clinical decision support resource, trusted worldwide by healthcare practitioners to help them make the right decisions at the point of care. It is proven to change the way clinicians practice medicine, and is the only resource of its kind associated with improved outcomes. Can RRC Students/Staff Use UpToDate? Create a username and password at UpToDate. Look for “UpToDate” in the alphabetical list of resources. You will be asked for your RRC username and password. Click the green “Continue to the requested resource” button once login is successful. When you first go to the UpToDate site, you may be asked to register a user profile at UpToDate.com. Do it! If you are not asked to register, then manually click the link in the upper right and register an account for yourself. Registering allows you to access the site via the UpToDate App. Once you register a personal account with UpToDate you may continue to access the site directly, without going through the RRC Library website. However, when 90 days approaches, you will receive an email prompting you to go back to the RRC Library website and reconnect to UpTo Date, thus refreshing your eligibility for free access to the site. The UpToDate mobile app is available for tablets or smart phones. You must first login to UpToDate through the RRC Library web site via the UpToDate (User Account Access link. This initial step is critical for UpToDate to link your account with access granted through Red River College. Register a personal account with UpToDate. Remember your username and password. Note: The first time you login, the registration box will appear. On subsequent visits you may have to click the “Register” link on upper right of the site. Download the *Free* UpToDate app from your app store. It is available for both Apple and Android devices. Open the UpToDate App and login using the personal account you have created at the UpToDate web site. You will be granted continuous access through the UpToDate App, however you will be required to refresh your eligibility for access every 90 days by returning to the library website and clicking the link labelled UpToDate (User Account Access. The RRC Library maintains an UpToDate Help guide. Consult this guide for the latest in technical information and troubleshooting information. You may contact Mark Nelson for technical support. The Red River College Library continues to receive inquiries about the wireless network. As usual we try to answer all our patron’s questions, though it must be said that we do not control or manage the wireless networks here at RRC. At the Library we are wireless users, just like you! At RRC, the Information Technology Solutions department manages the wireless networks. Even though we do not control the system, the Library is always here to provide tips as to the best way to use the wireless system. Lesson #1: Always use RRCWireless. Don’t use RRCGuest! 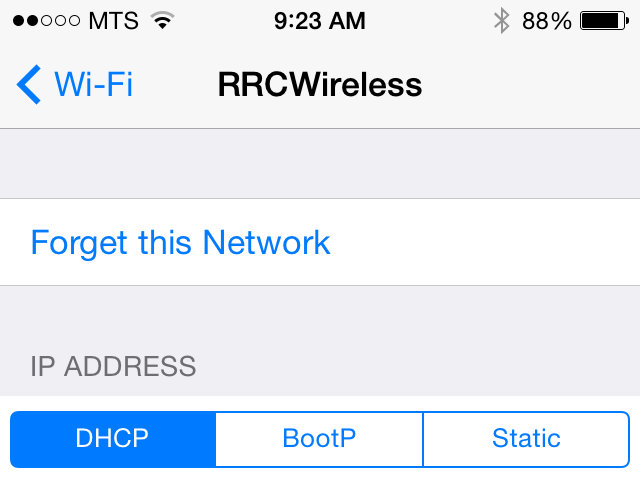 The network you need to connect to is named RRCWireless. A common problem that occurs is users try to connect to the network named “RRCGuest”. This network is for guests to the college and is not meant to be used by students and/or staff. Connections to “RRCGuest” require a special username and a password that must be obtained in advance, by making a CASELOG request to Information Technology Solutions. The Library does not know any of the usernames and/or passwords and we cannot issue you with one. The RRCWireless network does not operate like an open wireless, such as the wireless at “Starbucks” or “McDonald’s”. A user needs to enter their username and password to obtain a connection. When challenged, use your normal RRC network username and password to login. After you enter your username and password, you may be asked whether you “trust” the network you must say “yes” and “accept” the connection to the network. Lesson #3: Are you a Returning Student? Forget this Network! If you are a returning student, you were likely required to reset your password over the summer. When you return to the college, you have to make sure that any of your devices, such as cell phones or tablets, also have your new password in their settings. Just ask your device to “Forget this Network” and then setup the network fresh. If your device was set with an old password, keep in mind that it was actively connect to the wireless with an incorrect password. This would have caused the college’s wireless system to lock out your device. Unfortunately, when you attempt to reconnect with your username and a correct password you may still be locked out! Library Helpdesk staff are great at helping students diagnose wireless issues! Remember, we are always ready to guide you! The Red River College Library continues to receive inquiries about the wireless network. As usual we try to answer all our patron’s questions, though it must be said that we do not control or manage the wireless networks here at RRC. At the Library we are simply users, just like you! At RRC, the Information Technology Department manages the wireless networks. Even though we do not control the system, the Library is always here to provide tips as to the best way to use the wireless system.. Lesson #1: Always us RRCWireless. Don’t use RRCGuest! The RRCWireless network does not operate like an open wireless, such as the wireless at “Starbucks” or “McDonald’s”. A user needs to enter their credentials to obtain a connection. When challenged, use your normal RRC network username and password to login. When you ask your device to “forget this network”, always keep in mind that it was likely trying to actively connect to the wireless with a bad password. This would have caused the college’s wireless system to lock out your device. So, when you reconnect with your username and your new password it may still not connect. It is probably locked out! However, the RRC IT Department cannot support those that have personal devices. If you have a personal device and you can’t seem to get it connected to the RRCWIreless then come to our Helpdesk in the Lower Learning Commons of the Roblin Centre, or to the Help Desk in the Library Computer Lab at the Notre Dame Campus. Our staff is available from 8:00AM to 4:00 PM and they are great at helping students with these types of problems. On May 16, Red River College is rolling out a new Student Email system (powered by Office 365), which will enable you to access your email, contacts, and calendar from virtually anywhere. Stay in sync and on schedule with Outlook, and coordinate more effectively with classmates and Instructors. The new Student Email will not change how you send email from Learn, but it will provide additional communication enhancements to you. You’ll be sent further information regarding this change to your current student email. Student Email will not be available from 4pm on Friday, May 13 until 10pm on Sunday, May 15 while the upgrade is completed. Once the change is complete, students will see a different look and feel, but the general email experience will remain the same. The email addresses for all students will remain as “username@academic.rrc.ca” and all of their mail from the current Student Email system will be transferred into the new system. Important: If students have set their student email to automatically forward to another email address, they will likely find they have to reset their forwarding in the new email system. Support documentation for the new mail system will be located at the IT Solutions Blog (https://blogs.rrc.ca/its/help-resources/). 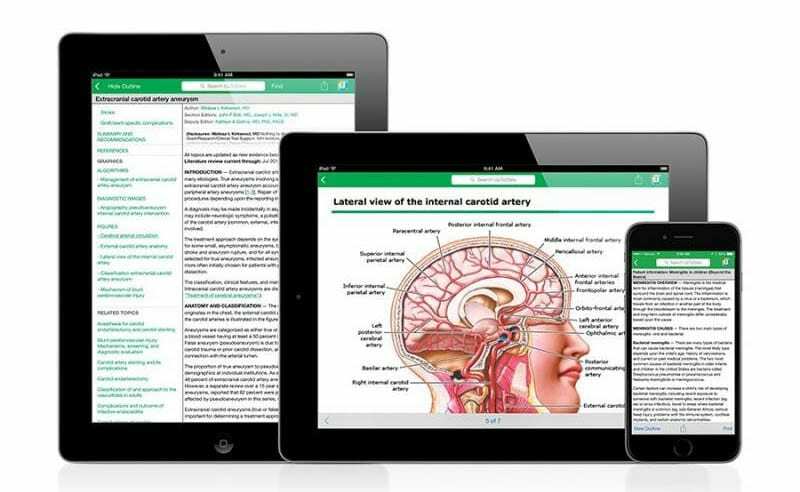 The EBSCOhost mobile app is made for the smaller screens of mobile devices, and offers the most important EBSCOHost features and functionality right in the palm of your hand. There is also an added bonus. Once you have successfully loaded a validation key into your mobile device you do not have to enter a username and password every time you use the app. To get started, follow the instructions below, or check out our “EBSCOHost Mobile” online guide. You may also inquire at the Library Reference Desk for printed instructions. Launch your web browser, from within your mobile device or your computer. You should arrive at the EBSCOhost Article Search Page. Now, look at the bottom of the page (in the footer) for a link titled “iPhone and Android apps”. Note: if you are using a device that automatically simplifies pages for mobile devices you may need to select to view “full site” in order to see this link at the bottom of the page. A popup will come up, asking you to input an email address. Be sure to insert an email address that you can access on your mobile device. EBSCOhost will now send a special key to this email address. On your mobile device, open up the email you receive from ephost@epnet.com and click on the link: “tap this authentication key”. That will launch the EBSCOhost application. You will now have access to EBSCOHost on your device until the key code you’ve received has expired. Instructions on how to use the EBSCOhost mobile application may also be be found on the EBSCOHost website, or by doing a web search for “EBSCOhost Mobile Access”. Are you a Returning Student? Forget this Network! If you are, you likely had to reset your password over the summer. When you return to the college, make sure that any of your devices, such as cell phones or tablets, also have your new password in their settings. If you have a laptop, you may not need to “Forget this Network”. You can likely just login with your new password when your computer challenges you for credentials. However, you may still have to wait 30 minutes for your laptop to cease being locked out. Just put in your new password, and wait for the lock-out period to expire (30 minutes).